I’ve been thinking a lot about the line between technical mastery and true artistry, if such a line really exists. It’s a topic that moved to my front burner this week when I spoke with dancers Charles Riley, aka Lil Buck, and his artistic partner Jon Boogz. That’s where Boogz, who grew up in Florida, was showing his stuff as an animator/popper. Yo Yo Ma in a performance of Dying Swan. 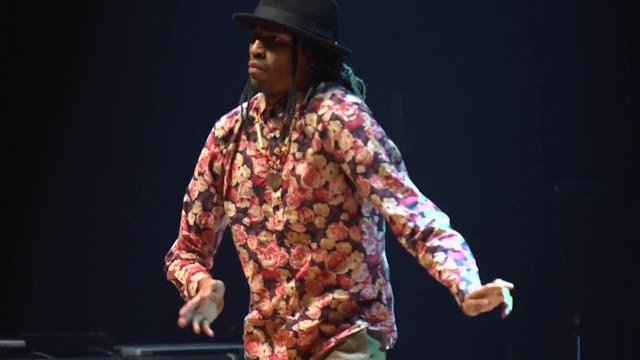 Boogz has choreographed for the likes of Baryshnikov and Naomi Campbell. But commercial success wasn’t really his heart’s desire. Boogz wants to use what he does to create emotional, narrative dances, to make people think about the world around them. Jon Boogz in a solo version of "Love Heals All Wounds"
But this week in Edmonds, the duo premiered a live stage version of the work they’ve done together. Yep, world premiere at the Edmonds Center for the Arts. “Love Heals All Wounds” is built on content from their film collaborations, addressing the mass incarceration of black men, police brutality, our divisive society and the state of the environment. As I write this, it sounds like the work is preachy. Really, the only things Boogz and Lil Buck are preaching are love and understanding. And they’re doing that in the most artful way. 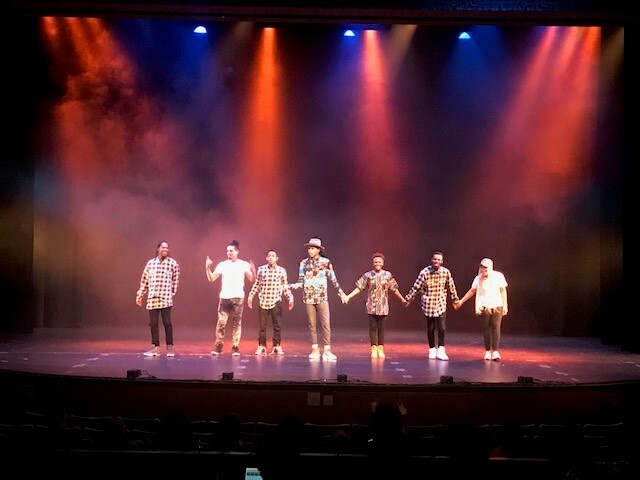 The two creators are joined by five other artists: four dancers: Nao Campbell, SHEstreet, Ron "Prime Tyme" Myles, and Keviorr, plus spoken word artist Robin Sanders. Her text, superbly presented, provides the continuity between the dance segments of the work. All of the dancers shone, but Jon Boogz and Lil Buck demonstrated why they have achieved national, even international, recognition. Buck floats across the stage, his feet in pristine white sneakers twisting around each other, balancing on the toes or the sides of his feet. In what has become a signature move, he drops to his knees and spins in a wide circle on the floor, as if not subject to the same gravity that rules the rest of us. When Boogz dances, he articulates each body part, from his long, graceful fingers up through his forearms, elbows, shoulders, neck and head. It is really remarkable to watch. More remarkable, though, is the synthesis of their total mastery of movement with the narrative they’ve created. Boogz and Buck come out of hip hop, but they’ve created a contemporary dance piece in the art-world sense of the phrase. It wasn’t perfect; the transitions between themes sometimes felt a bit awkward. But by the second half of this intermission-less piece, when the dancers, in groups of three, alternately embodied the four elements—water, air, fire and earth—I was didn’t want the evening to end. And judging by their faces as they acknowledged the small crowd at the Edmonds Center for the Arts, neither did the dancers. Lil Buck’s smile was electric; Boogz clasped his hands over his heart and out to the audience. In a post show conversation, he called dancers "God's athletes."